Imagination Investigation: A Cast of Stones: Natural Talent or Supernatural Gift? A Cast of Stones: Natural Talent or Supernatural Gift? 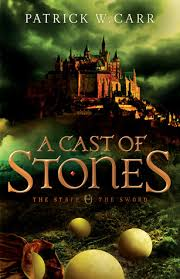 A Cast of Stones is a phenomenal book with some amazing character development, complex worldbuilding, and solid pacing. It is a book which draws you in, a book which offers an enjoyable adventure. Yet for me, that enjoyment was interrupted by a niggling disquiet which slowly morphed into troubled concern as I delved further into the practice of casting of lots. Yes, casting of lots was an ancient practice used by the Israelites during biblical times and even by the apostles themselves (Acts 1). Setting aside the arguments that the Holy Spirit makes such practices now unnecessary, the casting of lots was an acceptable biblical practice, used for making a wide variety of decisions as well as locating a particular person (e.g. Achan in Joshua or Matthais in Acts). But the practice found in A Cast of Stones, though called by the same name, has taken on a different form. In this novel, the practice of lots is not merely throwing a lot. Rather, it involved the creation of two or more spheres, which appear identical to all but a “reader.” The reader, who created the lots, can “see” a word written within that sphere, which provides one of the answers to a question being asked by the reader as he makes the lots. As a result, lots can be made at any time to answer any question—both the biblical decision-making questions as well as those about the future—as long as the reader has sufficient information to ask the right question. Some of the difference between these two practices can be ascribed to the fact that this novel is set in a fantasy world. It is not our world, the real world, but one separate from us, one in which the supernatural plays a much stronger role. However, the setting of A Cast of Stones also closely parallels our world (human characters, the presence of the church), which would indicate that most of the rules which apply to our world would also apply to A Cast of Stones. Which leads me to a conundrum. Yet this gift of casting lots can be very much done on whim, and the church within the novel condones the use of it. Yes, the church also prohibits the use of lots for profit and divination. Does this void the fact, though, that this gift can be used on whim, for profit and divination? What difference would there be between that and the church sanctioning the use of tarot cards to make church decisions, forbidding its use for divination and profit? Merely restricting a practice does not make the practice right. Adding to the confusion were some of the phrases in the book, which describes this ability as gift. The protagonist, Errol Stone, is said to “have the talent” (page 104). Another place states, “Some are born with the ability” (page 103). There are also frequent references to teaching, studying, and learning the art of casting lots. All these point to something not supernatural at all, but rather a natural talent. It is a valid possibility, for when we deal with fantasy, some of the rules change. What is supernatural for us may very well be “natural” for the characters in the book. What difference does that make? A natural talent is neutral ground, much like technology. It has been freely given to be used by the receiver when and how he wishes. As a result, a talent can be used for good. It can also be used for evil. And just because a talent can be misused doesn’t make the talent itself is evil; only the misapplication would be considered wrong. Under these boundaries, many of the concerns over the casting of lots would vanish. So is Errol Stone’s gift natural or supernatural? There lies the crux of the problem, leading us to a second question: What makes a gift natural versus supernatural? First, natural talents are often tied to the genetic. This is why natural talents often run in families. Genetics can play a role. One example of this might be the flexibility of someone who is double-jointed. That is a trait determined by one’s DNA. Unfortunately, the case with A Cast of Stones is muddy at best. The statement, “Some are born with the ability,” could point to genetics—or it may simply point to the fact that God endows some talents at the time of birth. It’s not clear, and at the moment, there is nothing else in the book that makes a case for genetic inheritance. Second, many talents are based on accessible skills. While a musical talent may make learning to play the piano easier or faster or more enjoyable, almost anyone can learn to play with enough time and effort. However, in A Cast of Stones, it appears you either have the gift or you don’t, and there is no way to acquire the gift unless you have said gift. Therefore, natural talents still require practice. A natural talent allows us to reach a higher level of skill faster. However, the best in any field admits that talents can only take us so far. In the end, you still must study, practice, and learn. Based on this, being a reader in A Cast of Stones appears to be a natural talent: there is much talk in the novel about the need to refine one’s ability. However, on the flip side, supernatural gifts are perfect and instant. You do not practice prophecy or learn how to work miracles. The gift is there or not. If it does exist, then it exists fully. This is why true prophecy is one-hundred percent accurate, and healing is instantaneous. For A Cast of Stones, this means the casting of lots is not a supernatural practice: Lots must be drawn again and again to verify accuracy. In addition, a supernatural gift must be linked to a supernatural source. This may sound obvious, but humans aren’t supernatural beings. Therefore, supernatural gifts must come from an outside source, either from God or from the demonic. A supernatural gift from God can only occur if there is a direct link between the Giver and the recipient. (I say a “direct link” for all good gifts, natural and supernatural, originate from God.) Is Errol’s gift directly from God, based on a relationship with Him? Again, it is unclear, yet seems doubtful. For Errol appears to have little knowledge of God and is it at odds with the church for most of the book. Yet on the other hand, he is said to be “touched by Aurae” (this world’s equivalent to the Holy Spirit) and that God’s hand is upon him (page 128). Supernatural gifts from God are uncontrollable. But a reader’s gift is very controllable. Not much, it seems. For the casting of lots, the gift of sight, and the ability of the reader don’t seem based on genetics or an accessible skill, while the ability to “see” is instant and accurate. All this points to a supernatural gift. However, there is also a constant emphasis on “learning” the reader’s job and on the inaccuracy of casting, which requires the throwing of multiple lots. In addition, these lots can be cast and read on whim. These qualities point to a natural talent. The result is a gray-shaded territory overshadowed by ambiguity. 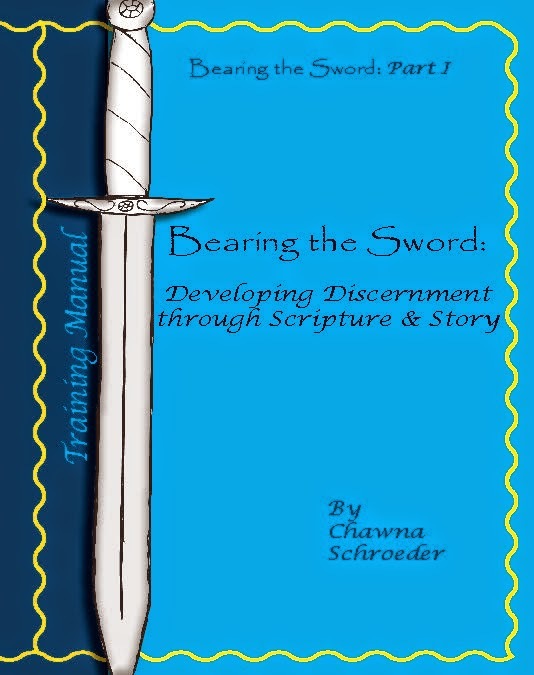 Readers, tread with caution and discernment, and may future books soon clarify the issue! Chawna, I take it you haven't read The Hero's Lot yet. I think a lot of your questions will be answered. But, I'm also of the mindset that we should let fantasy be fantasy and not extrapolate so much from our world. In fantasy all can seem like our world except for one element. As long as there is eternal consistency within that world, then the reader should accept it. So in that world "readers" are gifted (and can work to develop their gift) with the ability to cast lots. There needs to be internal consistency, not external correlation with reality--unless the story is an allegory. By and large, I'd say this series has some allegorical elements but is not an allegory. Interesting thoughts, though. I appreciate reading your take on the issue. No, I've not made it to the second book yet, Becky. However, I have to respectfully disagree with the thought that we should accept the rules of a fantasy world as long as it is consistent within itself. For based on your logic, as I understand it, the logical conclusion would be that there's nothing wrong with creating a fantasy world where adultery, theft, and murder is considered godly, as long as it is consistent within the world created. I cannot believe this is right. Rather, I believe there are rules and principles which transcend worlds and universes, because God's nature and character does not change. The basic principles concerning supernatural power are some of those rules, I believe. Hence, my concern and the resulting posts. So I do hope my questions are answered with the next book. This story seems to have many other things going for it. much food for thought! Thanks for delving into the muddy pool and thinking through this issue! Thank you for being willing to follow my muddy footsteps! I hope you found something helpful.